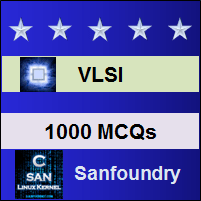 This set of VLSI Multiple Choice Questions & Answers (MCQs) focuses on “BiCMOS Logic Gates”. 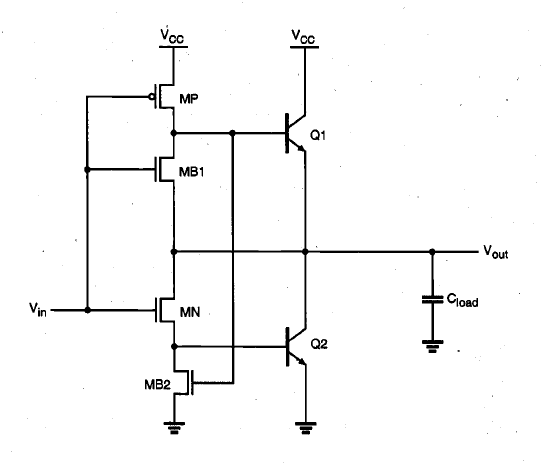 Explanation: These are the 3 advantages of BiCMOS over CMOS. Explanation: BiCMOS is a combination of both MOSFET and BJT. 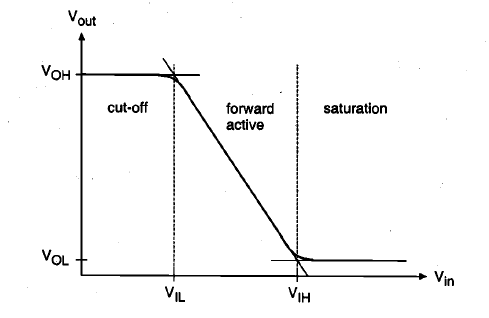 Explanation: BJT has the high current driving capability. 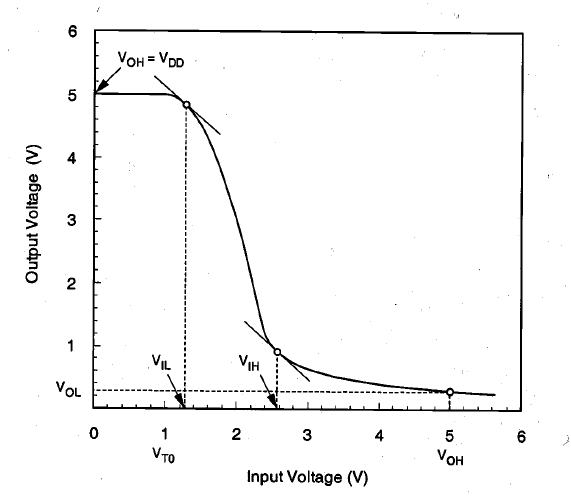 Explanation: npn BJTs are used in BiCMOS inverter. 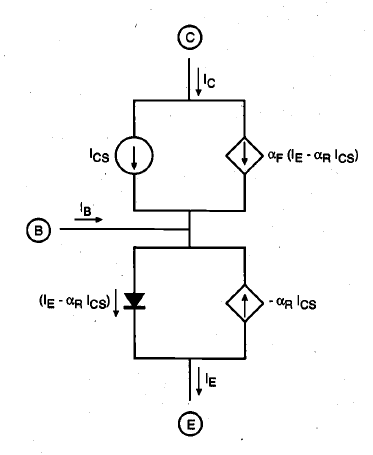 Explanation: The other 2 are the merits of BiCMOS, Increased fabrication Complexity is a demerit of BiCMOS circuits. 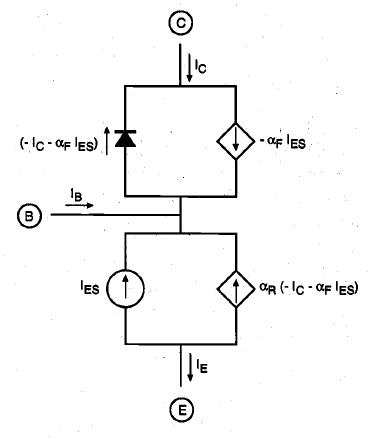 Explanation: BiCMOS is fabricated on the same substrate of nMOS. Explanation: The created nWell is used as Collector region for BiCMOS. 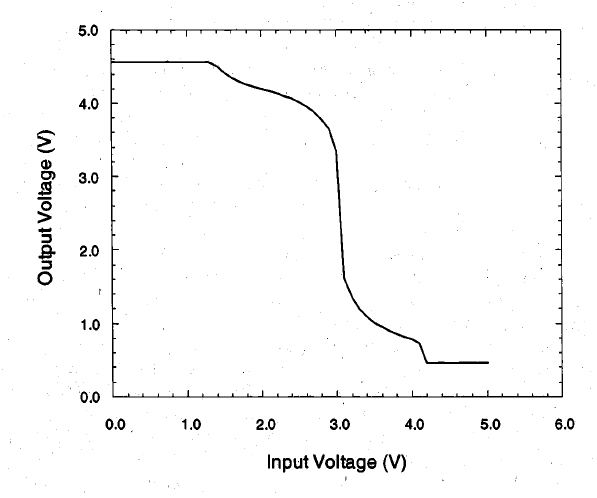 Explanation: To make the doping concentration less than the emitter. Explanation: The collector contact region is doped with higher concentration of n-type impurities reduces contact resistance. 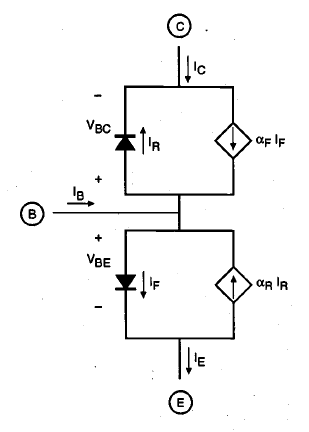 Explanation: The Current Ic and Ie are controlled by base emitter bias voltage.